Who says pick-ups can't have great sounding bass? 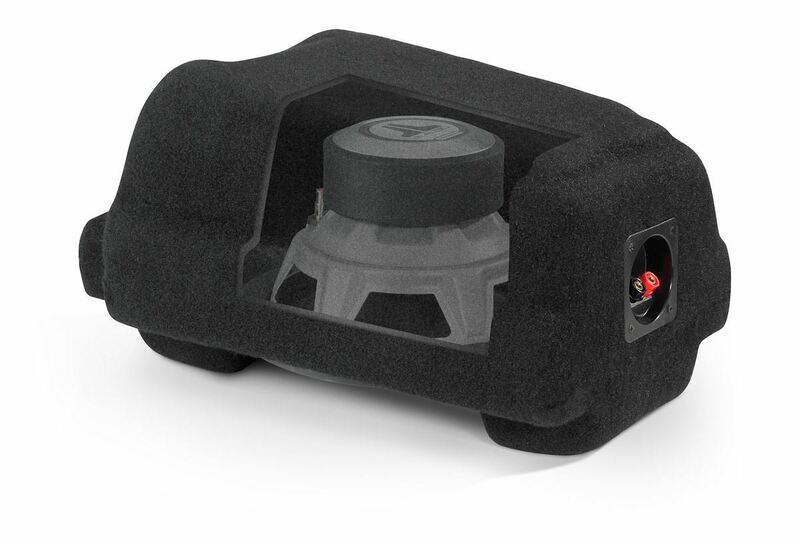 This Stealthbox® installs inside the front center console and houses a 10-inch subwoofer. Undetectable to the eye, beautiful to the ear, this system delivers up-front, detailed performance with any style of music. The Hard Data: Contains one 10W3v3-2 subwoofer in a sealed enclosure. 500 watt power handling. Wired for 2 ohm mono. Installs in the front center console. Installation requires modification of rear heating ducts and affects airflow. Most storage space within the console is lost. Will not fit Double Cab models equipped with OEM DVD player. Double Cab model installation necessitates removal of 12V accessory plug. Will not fit vehicles with manual transmission.